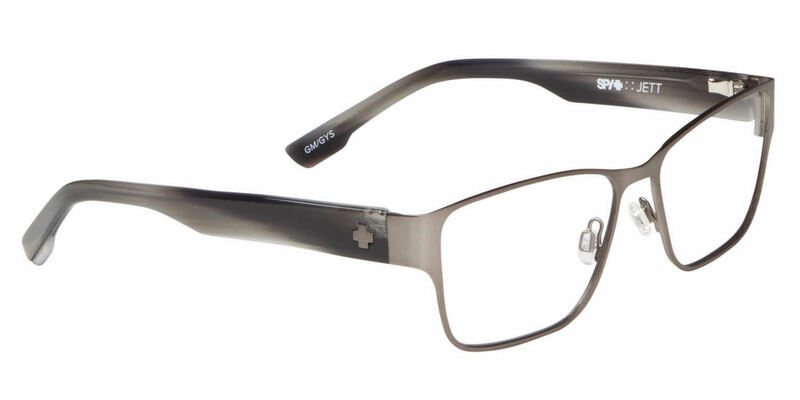 Spy Jett is a Full Rim frame for Men, which is made of Stainless Steel Front and Acetate Plastic Temples. Spy Jett Eyeglasses come with a cleaning cloth and protective carrying case. Great selection! Found the glasses I liked. Looked even better in person. Takes a few days for glasses but worth it.